This is the #2nd set of PHP Interview to help aspiring PHP developers and PHP fans alike to get inspired by listening from those PHP guys who are already highly involved into the PHP Ocean and being ‘there’ taming the waves and surfing better than ever to make themselves an Awesome PHP Expert both in their own eyes (for self-accomplishment) and for the PHP Community. On the other side, this is an opportunity for new PHPers to get to know their “PHP Elders“. I hope you will derive as much fun to read my interviews as I’m having by interviewing those A-List guys. I’m a Software Engineer since 1996 and I work as Senior PHP Engineer at Zend Technologies in the Zend Framework Core Team. If you want to know more about me you can check my website. I use PHP since 1999 and I started to use this language to build web applications. At that time and still now PHP is one of the best computer language for the web. PHP 5 is very different from PHP 3 that I used more than 10 years ago. 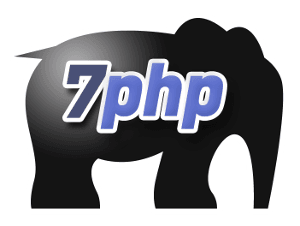 PHP 5 is completely object oriented and more focused to enterprise applications. Moreover the performance of the last version are huge compared with the PHP 3. The good parts of PHP are the performance and the simplicity to use. The performance are very good because the architecture of the language is very light and it scale very well (this is why most of the biggest Internet companies use it). Moreover, you don’t need a background in computer science to write a script in PHP. Actually, this can be sometime also the bad part because if you don’t know what are you doing, you can build applications that are very difficult to maintain. Start with a good tutorial, there are a lot of good books and online articles. The most important advice is to study the source code of open source applications. There are millions of line of code that you can read from the best PHP developers in the world. I use Zend Studio or Eclipse to write in PHP. I use the Zend Debugger or XDebug. I use WordPress for my blog. The PHP code of WordPress is not the best in the world but it works very well. Matthew Weier O’Phinney is one the best PHP developer that I meet so far. He is the team leader of Zend Framework project. There is not a special function that I use more frequently. I really like the array functions of PHP they help a lot during the development. The official website of PHP with the all mailing list is a must, of course. 16) The never ending debates on PHP would be.. ? The future of PHP 6 and I hope we will have shortly a final answer on this question. I think we will have more enterprise developers. If you see the job request of PHP developers you will find a lot of enterprise companies asking for senior engineers with more than 5 years of experience, certifications, framework knowledge, and so on. This is a very good news for PHP. I think this is the first time that Microsoft officially support an open source software. This will help the PHP community to grow with more emphasis. 19) If you had to go back in time, would you still choose PHP? Yes, definitely. It’s so easy to write code in PHP and the business benefits are huge. I’m involved in the Zend Framework open source project and I think that this project can help web developers to write professional applications in PHP, with a solid architecture, and to focus the attention on the business logic of their applications instead of technical details of web development. Php it’s very easy to use, funny & powerfull, keep growing it among doc, thanks.